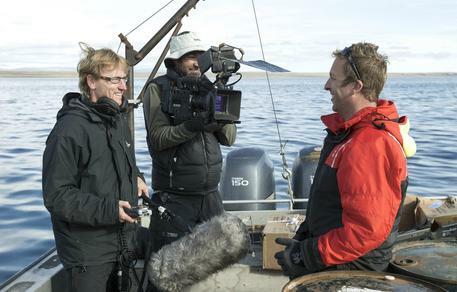 Experienced wildlife-film director Ben Wallis takes the opportunity to share his thoughts on working on a highly dramatic documentary about the rise of the Orca in the North. After quite some time in the Arctic, he returned with amazing stories. In the summer of 2013, a film crew attempted the almost impossible. Our mission was to try and film Killer Whales in the Canadian Arctic for the very first time. There were stories from those that lived there of a Killer Whale presence – but we had very little else to go on. However, this part of the world is changing. And changing fast. 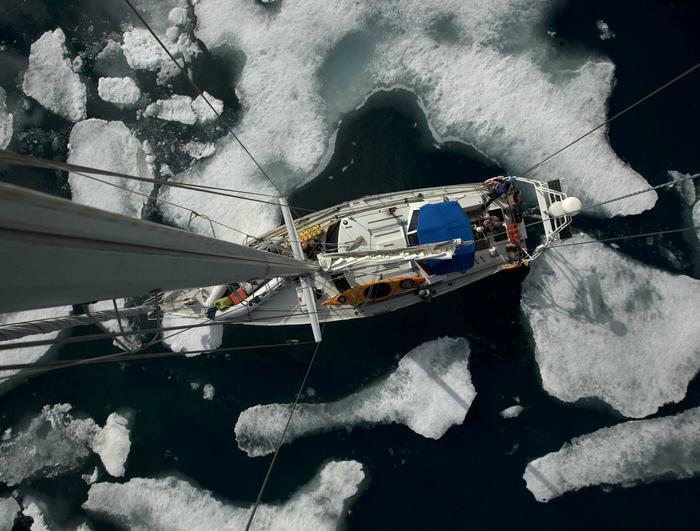 2012 had seen the largest ice melt on record and much of these waters are now ice-free in the summer. It’s an Arctic story the world is becoming familiar with, but this was a chance to document how this melt was affecting the lives of some of the Arctic’s most iconic wildlife. And what appears to be happening is a dramatic shift in the top predators. 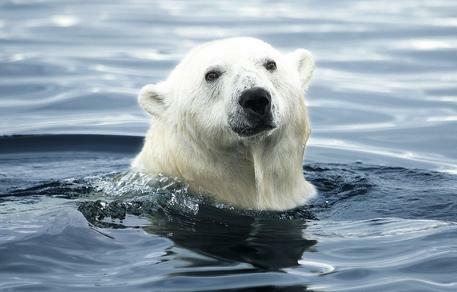 Due to a lack of ice the Polar Bear is suffering. And a new, iconic, powerful marine predator is taking its place – the Killer Whale. It’s very rare that we get the chance to film something entirely new – but how to go about filming a predator so few have seen, in one of the most remote places on earth? We embarked on a 5 week boat expedition with an experienced crew, following a small team of scientists who had been trying to tag Killer Whales here since 2009. In 5 years, they had only seen them once. 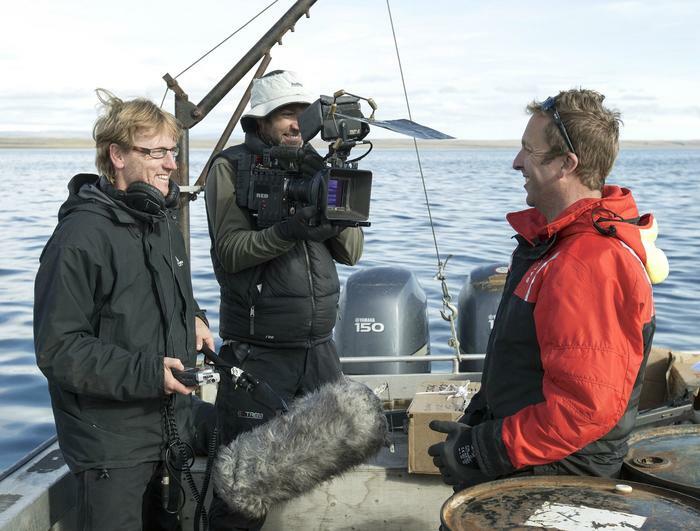 The film crew went ahead of the scientists to maximise their time on the water. 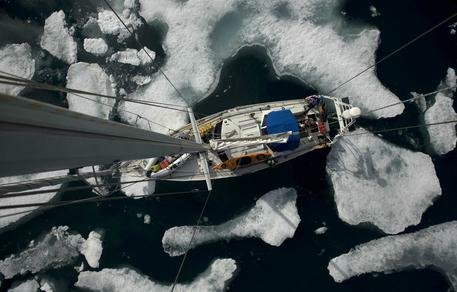 For the first 10 days, often in unmapped waters and battling serious Arctic winds, we saw – nothing. But then everything changed. 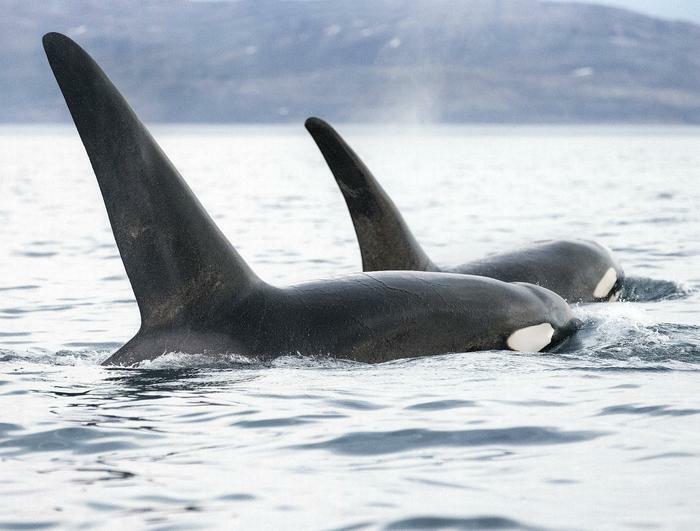 Following a tip off from local Inuit, we tracked down a large pod of Killer Whales. 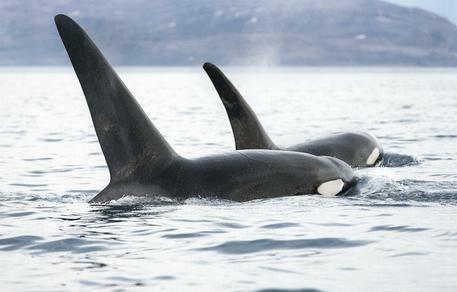 The scientists worked fast, managing to tag five Killer Whales. It was the most Killer Whales ever tagged anywhere in the world, and an extraordinary moment in the film. It was the springboard we had all dreamed about. Killer Whales have been extensively filmed and are well studied in the rest of the world’s oceans but almost nothing was known about them in the Canadian Arctic. Having the ability to follow them now – and presumably hunt – would potentially shed an entire new light on these iconic predators. Over the next few days, the pod made very direct movements. News received from an aerial survey suggested they were heading straight towards one of the nursery grounds of a small Arctic whale known as Narwhal. Late on day 12, we managed to catch up with the fast moving Killer Whales. The pod was together and at the top of a bay in which we already knew there were hundreds of Narwhal. I couldn’t really believe the situation we had managed to find ourselves in. The waters were choppy, the light was all but gone but there was a sense of inevitability for what was going to happen. These magnificent predators, hunting together in a co-ordinated pack, went straight for the Narwhal. Herding the Narwhal close to the shore, the Killer Whales as a group lunged themselves into shallow water, giving the narwhal no chance. I have been lucky to film many predation events in the natural world but this one beats them all. It’s extremely rare to document truly new behaviour and something I may never get the chance to do again. I felt (and still do!) extremely privileged to have been witness to this event. 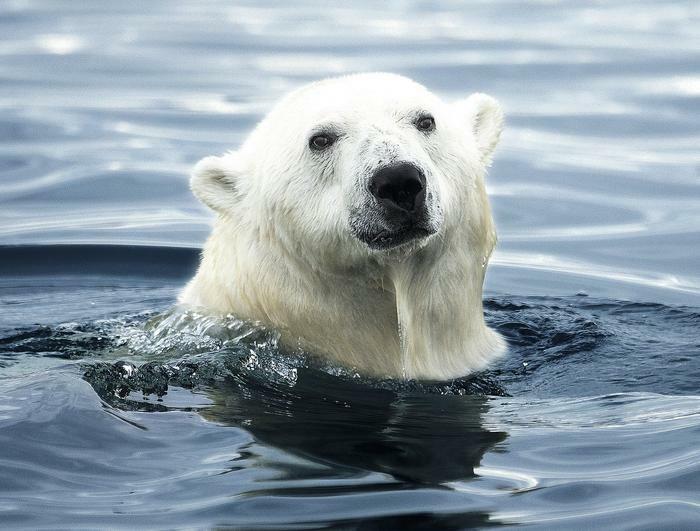 The Polar Bear is losing its hunting grounds. Film team in the Arctic. Read more about the inspiring production, find a trailer and more materials by following this link.